Triton Knoll is delighted to be hosting a FREE informative morning on Thursday, 7 February in Grimsby, alongside innogy’s most recently consented UK offshore wind project, Sofia. It’s a great opportunity for local suppliers to introduce their business to our lead contractors and the procurement managers who are working on innogy’s North East of England offshore wind projects. Present your offshore wind related innovations at the Sofia Innovation Corner. Julian Garnsey is the Project Director of Triton Knoll Offshore Wind Farm. 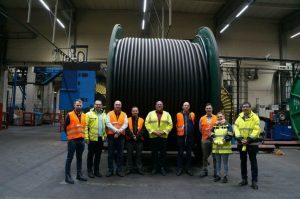 Working in offshore wind for over 15 years, he has been involved in a number of key developments and advancements in the offshore wind industry. He has experience across every stage of a project’s lifespan, from the early stages of development, through to design, construction, and asset integrity. 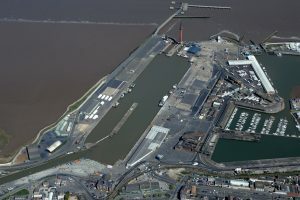 He has witnessed the growth of the sector from the earliest commercial scale projects built in the UK through to developments such as the Galloper Offshore Wind Farm, constructed by innogy in 2017. Julian has performed various roles on innogy’s offshore projects, including Deputy Project Director, Foundation Project Manager and Engineering Manager. Julian is a Chartered Engineer and a member of the Institution of Civil Engineers. Melissa Read is the Development Manager for Triton Knoll Offshore Wind Farm. She has 18 years of experience in developing and constructing major infrastructure projects, including 10 years in the renewable energy industry. 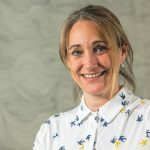 Melissa has managed consents, land acquisitions, supply chain and stakeholder management for Triton Knoll for nearly four years, taking the project through the consenting phase into construction. Prior to that she was instrumental in delivering 4.8GW of offshore wind consents for the Dogger Bank projects. Melissa has development and commercial experience across all stages of a project’s lifespan, from site selection through to operation, in addition to maintaining a strategic overview of industry issues. She is a member of the Royal Town Planning Institute. 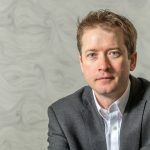 Graham is Innogy Renewables UK Limited’s Head of Contracts – Offshore and Lead Procurement Manager for the Triton Knoll Offshore Wind Farm Project. He brings a wealth of experience in pre and post contracts management, and has 45 years’ experience in the construction & engineering industries, having worked in national and multinational contracting roles worldwide, specializing in Commercial and Contracts Management. 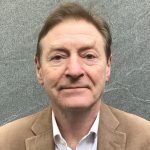 He has extensive experience of contracting on major projects, including across a range of utilities and engineering projects, from power plant to mechanical and electrical installations, from hydro-electric and generated power plant, to wind farms and marine installations, having also worked in the UK, Europe, Caribbean, Far East, Asia and the Middle East. Following the plenary, the session below will be run twice to enable delegates to fit in the presentations around their 1:1 meetings. MHI Vestas Offshore Wind (MVOW) – Commissioning Manager, Triton Knoll Offshore Windfarm. Matthew started his career as an electrical apprentice gaining an HNC in Electrical Engineering and worked in several industrial factories including Sellafield. 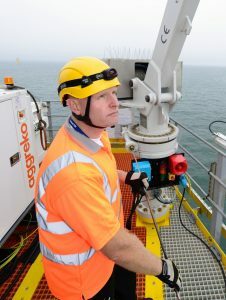 He started his offshore wind career in 2008 as an offshore technician, advancing through the roles to Service Manager in 2011 at Robin Rigg and Humber Gateway offshore windfarms. He is currently assigned as Commissioning Manager for the Triton Knoll project. Matthew has resided in Great Coates just outside of Grimsby for the last four years and is ideally placed to understand the local area and supply chain. 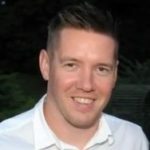 During this time, Matthew also attended the University of Hull where he achieved an MBA in Business Management and his Chartered Manger status with the CMI. Mark has worked for Granada for over 20 years, having started on the shop floor in the electrical department. Following a brief period working for the company in Birmingham, he moved to head office in 2001 to run the business with a co-director. In 2007, and against the backdrop of an emerging offshore industry, Mark saw an opportunity to re-engineer a standardised product for the sector. He spent a number of years deep-diving into the industry, attending conferences and seeking opportunities to work with industry and its top tier suppliers to understand how best to deliver Granada’s products. Granada’s first major constract with the offshore sector was to provide davit cranes for innogy’s Gwynt y Môr Offshore Wind Farm and has since successfully bid to work with most of the offshore wind farms around the UK. A key focus of the event is to provide businesses with the opportunity to Meet the Buyer. As a result, we have set up a series of 1:1 opportunities throughout the morning with the project and our lead contactors. All slots are ADVANCED BOOKING only. These 1:1's last 10 minutes each and provide a great opportunity for local companies to “meet the buyer” directly. Meet the Buyer slots run from: 9.45am through to 12.45pm.